Thinking about renewing your spring summer wardrobe? The Spain-based fashion brand Pull & Bear delivers a lot of striking clothes in its February 2013 lookbook entitled Kate that will allow you to bring the chic and freshness into your spring summer looks and update your style. 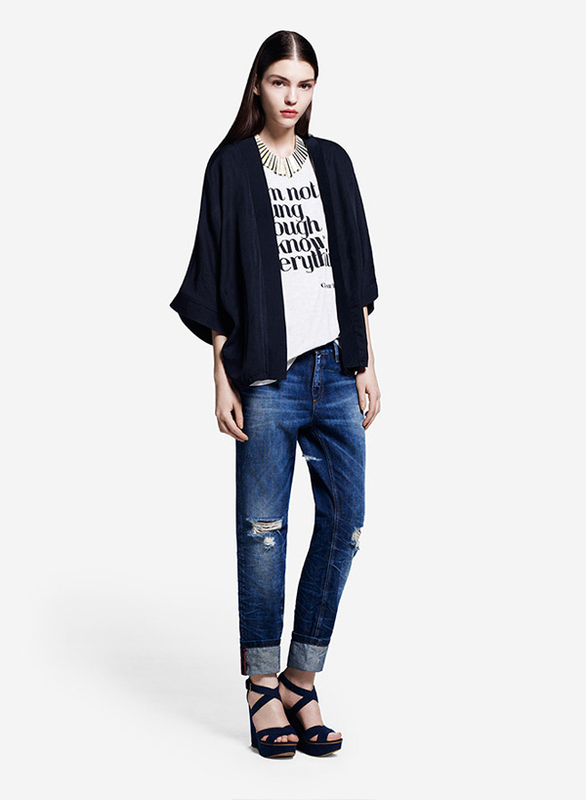 This first brand’s lookbook in the new 2013 year features the beautiful Kate Bogucharskaia. Moreover, it was even named after the stunning model “Kate”. The Pull & Bear Kate lookbook could boast the great number of the hottest trends of the season including the black and white combinations, stripes, floral patterns and ethnical themes, what allows us to embrace the latest trends in the women’s fashion at the budget-friendly prices. While the black and white garments are the big thing of this season, this is considered to be a timeless combination that will appear on the catwalks over and over again. Thus investing in the black and white outfits guarantees that you will be benefiting from your classical garments for a long time. 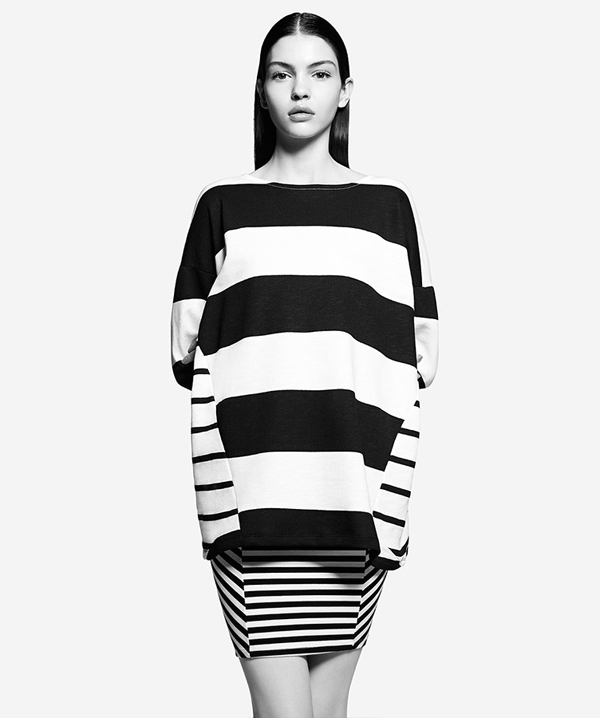 Just make sure to take into consideration your body proportions first to figure the best way to wear stripes. 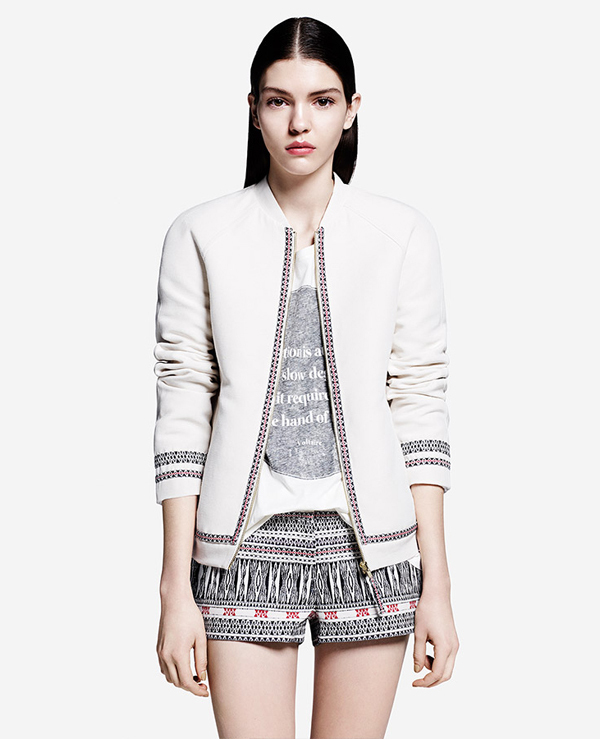 Ethnical and tribal themes appear everywhere this season and Pull & Bear Kate February 2013 lookbook is not an exception. If you belong to those daring ones that are not afraid of standing out, consider embracing this trend in the range of ways either by wearing the total ethnic outfit or by complementing your plain look with an ethnic-themed accessory. Though the floral prints were in vogue for the last few seasons, Pull & Bear decided to incorporate this bold trend by painting the black background with the colored blooms. In the result we get the adorable and original patterns. Along with the stripes, floral prints and tribal patterns, Pull & Bear Kate February 2013 lookbook also feature the animal prints delivering the trendy sweatshirts with the tigers, lions and panthers.